This book has gained a high reputation in the economical, pastor-friendly New American Commentary (NAC) series. Craig Blomberg has earned expert status in the scholarly world on the Gospels. Don’t miss his Preface where he tells what he thinks about commentaries series in general, and why the NAC is worthwhile. Blomberg says his focus could be labeled “a cautious evangelical redaction criticism”. I love “cautious” and “evangelical”, but must admit my least favorite paragraphs were those explaining his views on “redaction criticism”. Scholars often miss that pastors find that the least helpful type of thing that scholarship provides. Some of us are convinced it’s not even accurate. Still, don’t let that turn you away from this commentary. It nevertheless contains the things pastors are looking for, and they are well done at that. The Introduction does a great job sharing various viewpoints about structure. He works his way to his own conclusion that sees value in a couple of opinions out there (Kingsbury and Bacon particularly). He wisely sees structure as a springboard to theology and gives us several pages that gets to the heart of Matthew. Again, his section on sources doesn’t do much for me, but I appreciated his conservative conclusions on date, authorship, and historicity. The commentary proper never fails to provide help. The quality remains constant throughout. There might be points I’d disagree with, but every passage was of high quality. 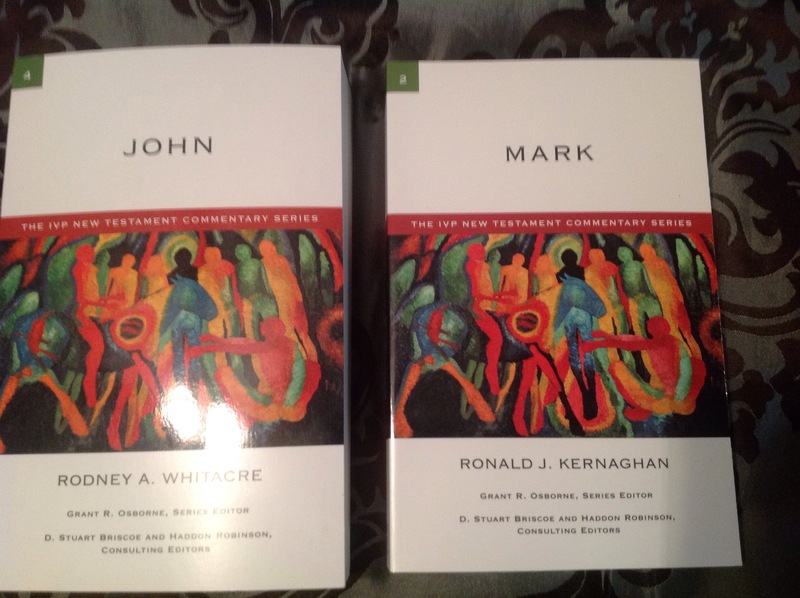 Though this commentary would be considered mid-length (many people’s preference), and pastor/teacher friendly (even more people’s preference), it still can run with the big boys in the exegetical commentary field. I recommend it! Daniel Akin and R. Scott Pace team to provide us with an outstanding volume on pastoral theology. Its design is what sets it apart from others in the field. It aims at more than the “what” by focusing on the “why”. That doesn’t mean that the book isn’t practical, but that it draws its practicality by providing the reader with a stronger desire to take pastoral work seriously. The book begins with more theological foundation and builds to pastoral ministry. Section One has three chapters covering theological, Christological, and pneumatological doctrine and the relationship for the pastor and God’s character, champion, and Companion. Section Two covers anthropology, ecclesiology, and missiology. This guides us even more to ministry. From there, the book blossoms into a passionate plea for preaching and pastoral ministry. Every page was full of nuggets. I don’t see how any preacher couldn’t be deeply challenged, guided, and encouraged. The chapter on balancing our families in ministry is worth the price of the book. This book succeeds on both the level of theology and ministry. I can’t imagine a better book for pastoral theology. Let’s read it and remind ourselves why our ministry is so critically important and how scriptural the ministry is! Carta Jerusalem continues its trend of providing unique, interesting, and helpful titles of the type that you just can’t find anywhere else. This title by Abba Bendavid makes sense of a part of the Bible that many have trouble with and usually just overlook– the Books of Chronicles. Probably you have struggled through the multiple genealogies that begin Chronicles and the chapters that seem to repeat Kings. This book is a tool that will really enliven your studies of Chronicles and help you see why it is not a pointless repetition. This English edition of a work originally written in Hebrew is edited and ably introduced by scholar Mordechai Cogan, who is known for his work on Kings. He explains the design of the book and how to glean the most from it. He further explains why the KJV with its more literal translation method is a good one for this project. The book provides a collation of parallel texts to see how Chronicles compares with other texts. Those parallels are, as you would expect, with Kings, but also with other texts going back to Genesis. Its design is primarily that you can do your own study and draw your own conclusions. This volume lives up to its press and is an outstanding asset for all students of the Old Testament. I highly recommend it! Kernaghan wrote this volume in the respected IVPNT series that’s aimed at pastors, teachers, and small groups. I’d define this book as a solid work. He adequately covers the basics in his Introduction to Mark. He begins by explaining why many scholars came to believe in the priority of Mark. In discussing authorship he reminds us that Mark has always traditionally been considered the author until more recent times. He reaches conservative conclusions on audience, date, and place of origin. His conclusions on “the gospel as parable ” are a little more sketchy to my mind. After an outline, he jumps into the commentary proper that makes up the bulk of the book. Again, the word that comes to mind is “solid”. In every passage he opens with a modern history parallel to what he feels the passage is saying. Some fit better than others, but some readers may love that unique approach. All in all, this volume will be appreciated by its target audience. Whitacre provides one of the longest and most exceptional commentaries in the respected IVPNT series edited by respected scholar Grant Osborne. If you search, I think you’ll find most reviews will agree with my assessment. The Introduction begins by his confessing the awesomeness of John’s Gospel. He introduces the two views of authorship which are a single author versus multiple authors. He admits complexity and offers three possible explanations for it. He finally sees the profundity of John as the better explanation. He writes well on chronological and other differences with the Synoptics. He lays out the options on date, location, and purposes with equal aplomb. He makes sense of John’s uniqueness and theology and themes. In his allotted space, Whitacre does a great job in the Introduction. The commentary is ideal for a mid-length commentary and its target audience. This book is a winner. Japhet’s volume is the most massive exegetical commentary on I and II Chronicles that I am aware of. It’s actually fatter (1077 pages) than most volumes in the Old Testament Library (OTL) that I’ve seen as well. In addition to its size, I’ve only seen great praise from the entire scholarly world for this highly-respected book. It’s fair to call it an influential volume. I’d agree with those who would call it “conservatively critical”. In truth, it’s going to appeal to the more scholarly types (that’s another thing that sets this book in a different vein than some others in the series). Still, it’s quite readable. The Introduction tracks its own course. It jumps in at the name and place in the cannon. She concludes that Chronicles is “one work, composed essentially by a single author, with a very distinct and peculiar literary method.” She looks in depth at the structure of the books. She goes far on sources, but much of it is just about which books of the Bible influenced the Chronicler. She has some conclusions I could never agree with, but there is careful explanation throughout. She summarizes the theology as a constant appeal to the past. In the vast commentary we find helpful philology and exegetical detail. There’s more work on theology here than in the Introduction, which is a plus to most users. There’s more reference to sources than I like to see, but there’s plenty of helpful history. It’s hard to find anything missing across the pages of the commentary proper. Students will appreciate it. This book is likely the book to have on Chronicles on the heavy exegesis side of the spectrum. I recommend it. Here’s a scholarly book designed to really get at what OT wisdom literature is and what scholarship has thought it to be. Edited by David Firth and Lindsay Wilson, this book highlights the work of eleven scholars on the oft-debated issues of wisdom literature. Part 1 is one chapter by Craig Bartholomew that introduces where the study of OT wisdom is today. That provides a fine overview, including some of the more bizarre things out there. Part 2 gives chapters on the four main wisdom books of Proverbs, Job, Ecclesiastes, and the Song by Ernest Lucas, Lindsay Wilson, Katherine Dell, and Rosalind Clarke respectively. All of the chapters were worthwhile providing the reader learning each time. Part 3 branches out on themes including seeing Ruth as Wisdom literature, retribution, wisdom, the connection of wisdom and biblical theology, voicing, and a really profound discussion of divine absence. Gregory Goswell, Lennart Bostrom, David Firth, Christopher Ansberry (he was a really good writer), Simon Stocks, and Brittany Melton provided these chapters. The book was a solid effort. If you like this type of book, I suggest you check out “Five Festal Garments” by Barry Webb from the same publisher as well. I predict you will see this volume quoted often in future scholarly works. It would be a worthy addition to your library.